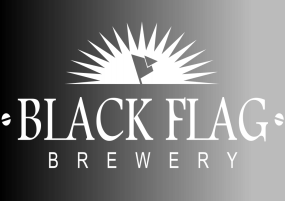 If you'r outside Cornwall and still need your fix of black flag never fear. Just click on our shop link and you'll be re-directed to the wonderful eebria website. Eebria are one of the leading stockist of quality British beers and we are proud to be included on their website along with some other great breweries. Our beers are also available online through the fantastic new Johns Wine Store website. You can find our beers in many of the pubs around Cornwall as well as a select few up country. All our beers are available in cask, keg and bottle. If you're in or around Perranporth the best place to find us is ' the Seiners Arms' where you will be able to try a selection of our cask beers as well as Fang on keg. You can also find us at Truro Farmers market on the first and last Saturday of the month as well as many more dates in the run up to Christmas. We will also be at Padstow farmers market and several other Christmas markets in the coming months.